Hunger Strike : Does he look like someone joking or playing games ? 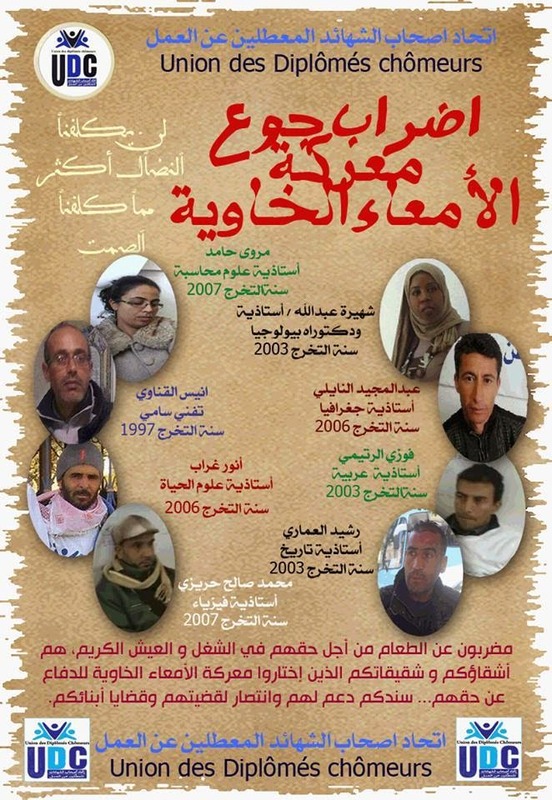 Lately, I have been trying to follow some of the hunger strikes that are undertaken by some groups of unemployed Tunisians in different regions of the country. All I can say is that I am consternated by both the reactions of some people and the indifference of the authorities. Indeed some people think that being on a hunger strike is an easy matter. They think that it is a game or a matter of pleasure. I am saying this because each time I write about hunger strikes I receive dozens of insulting commentaries targeting the hunger strikers. Many people see them as lazy people or as persons trying to play the heroes . Of course those persons do not know what a hunger strike is . 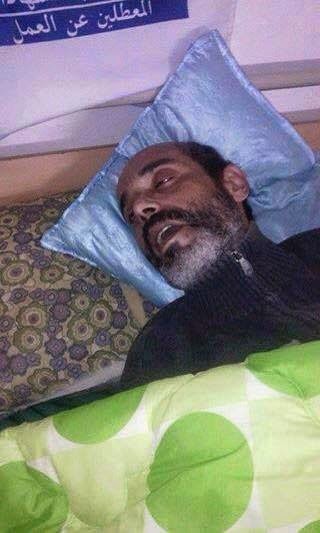 This is why I am sharing with them this photo of a hunger striker who started his strike on February 27th, 2015. He has been undertaking the hunger strike with seven other graduates who have been trying to find jobs for years now (see the photos below); Anis Gnaoui is about to lose his life. On their part, the authorities are turning a blind eye to their cause. Does he look like someone joking or playing games ? To follow the hunger strike in Gabes click here.